Discovered a new lounge in NWI – and it’s not bad. The 109 Lounge in downtown Crown Point is the place to go if you yearn for something Chicagoey. It sits above Amoré Ristorante, an Italian bistro I’ve yet been too. I was quite pissed when I got to 109 but from what I recall it’s a great place to bring a gal/guy or a bunch of blokes. It’s got great lighting – who thinks about lighting? I do. You’ve got your candles and such…not too dark, not too bright. Great background music and sometimes it’s live (and not too loud – more on that later). 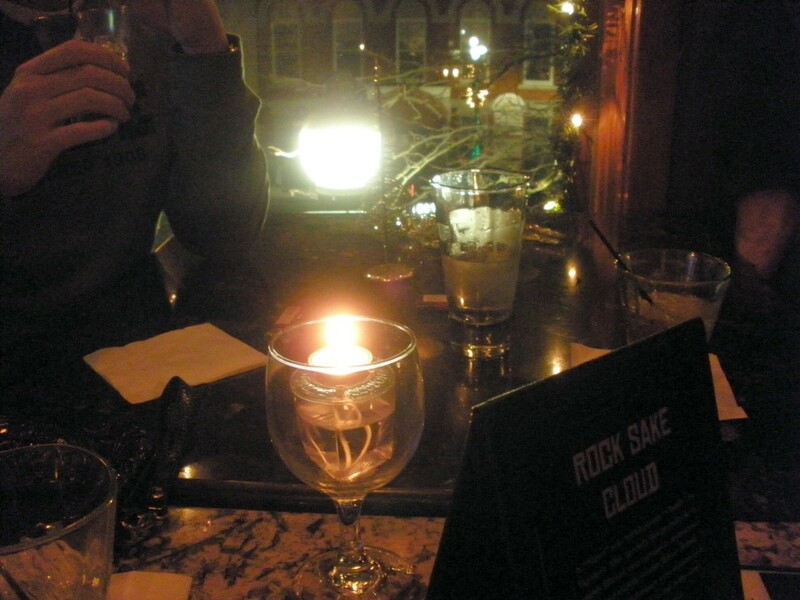 There’s a sushi menu, beer, martinis…and for you smokers – well, smoke ’em if you got ’em – it’s allowed. Oh – and at least when I was there – plenty of mmmmm-eye candy for the gents and girls. I was at T.J. Maloney’s not long ago in Merrillville. It’s the fake authentic Irish bar at the Holiday Star Hotel/Theatre. Look…it is a decent place with nice worker folks and food/beer etc. I wouldn’t go far to say it’s authentic just ’cause you’ve got furniture in there that was built in Dublin. Some of the music selections leave something to be desired. I’ve rarely heard Irish bands – or I guess I mean local bands playing Irish music. You know, like an “authentic” Irish pub might. Lots of blues bands and other cheesy rockers, I’ve seen. Plus it’s too feckin’ loud. T.J.’s is built for a more acoustic act. That said, one band I saw there recently, I think they were called Get Lucky, dialed up a little “Hallelujah.” Well done! And that other band I mentioned in a previous post – Roger Drawdy – was pretty good and set at a perfect volume. There is always a time/place for loud band fuckery and getting wanked under the table. But not here.